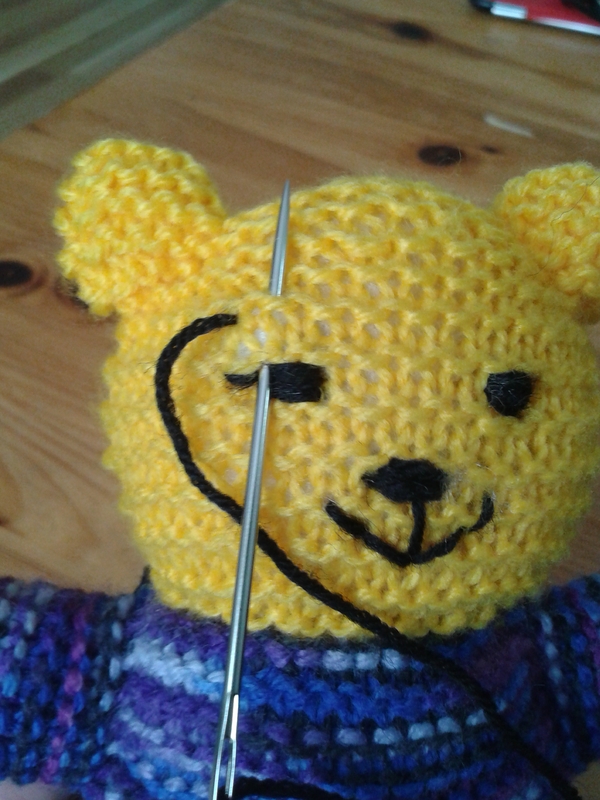 There are several ways to make bears. 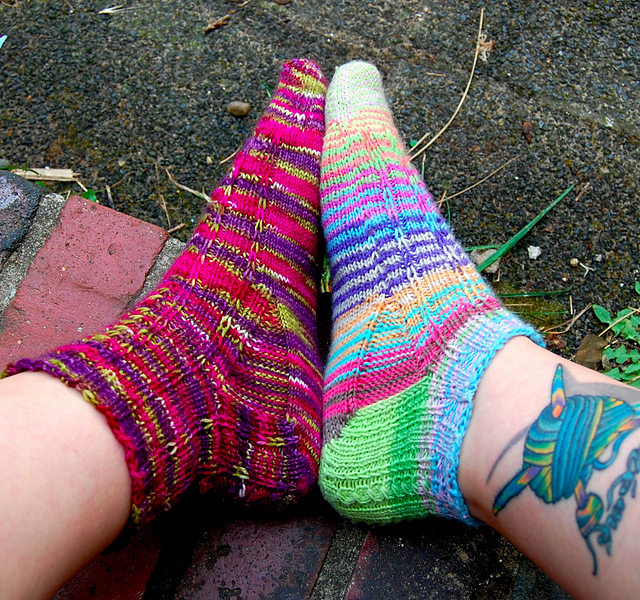 You can either crochet or knit them. You can make them flat or in the round. There’s a pattern for each of these options here. 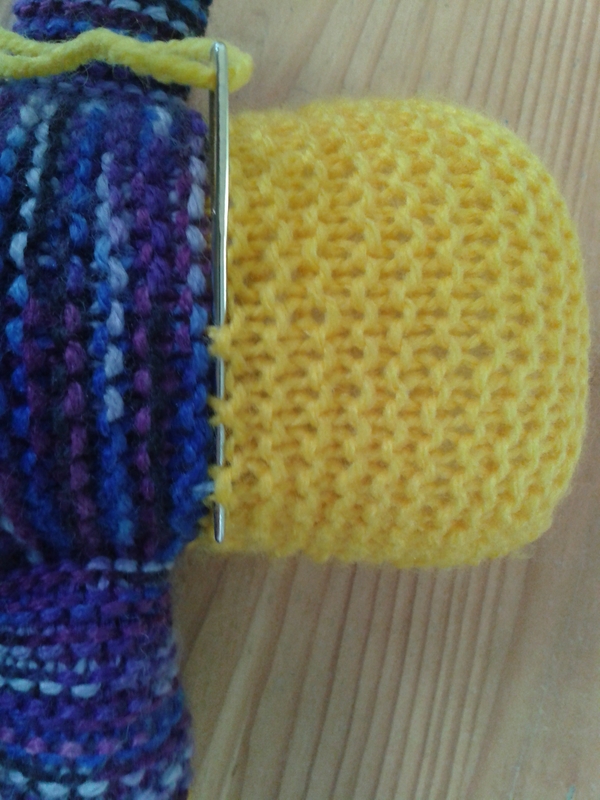 I have made several by knitting in the round, I have made a lot by crocheting in the round and, more recently, I’ve been knitting flat ones, using the sewing while knitting technique from Mei. 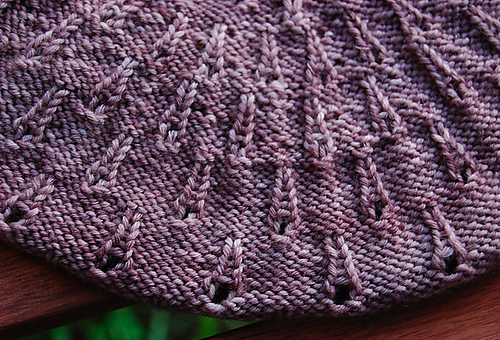 I love this method because it means I can knit garter stitch and still avoid sewing, which I really dislike. 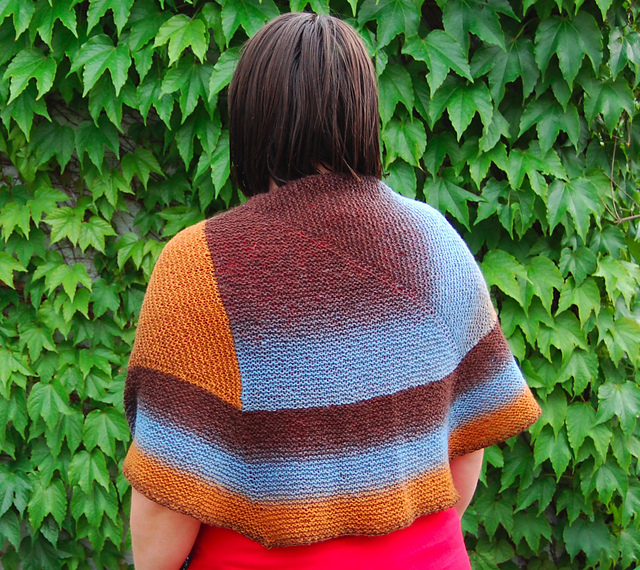 I love the look and feel of the garter stitch bears but I don’t enjoy knitting it in the round, so this is the best of both worlds for me. At that point I use Mei’s technique mentioned above to continue the other side and sew as I go. 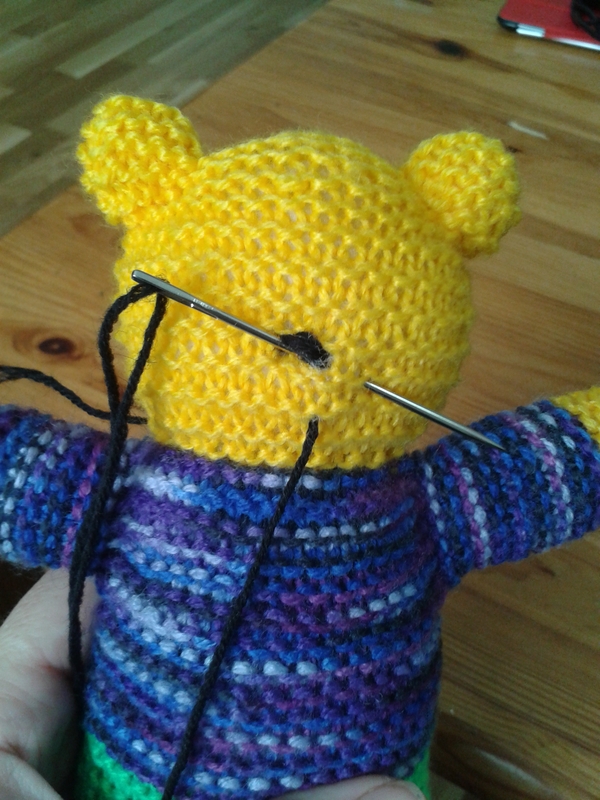 I do that until I’m ready to divide for the legs and then stuff the top part of the bear. 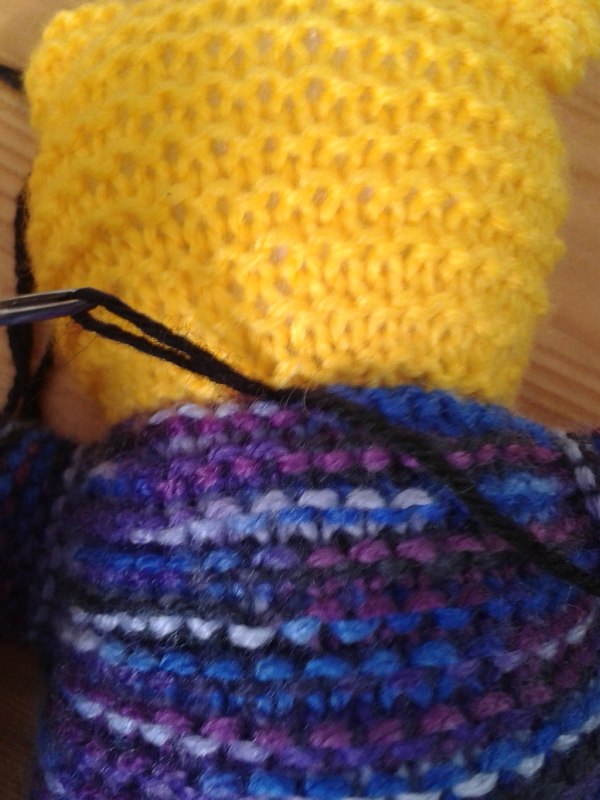 I find it easier to stuff as I go along to get the right shape. 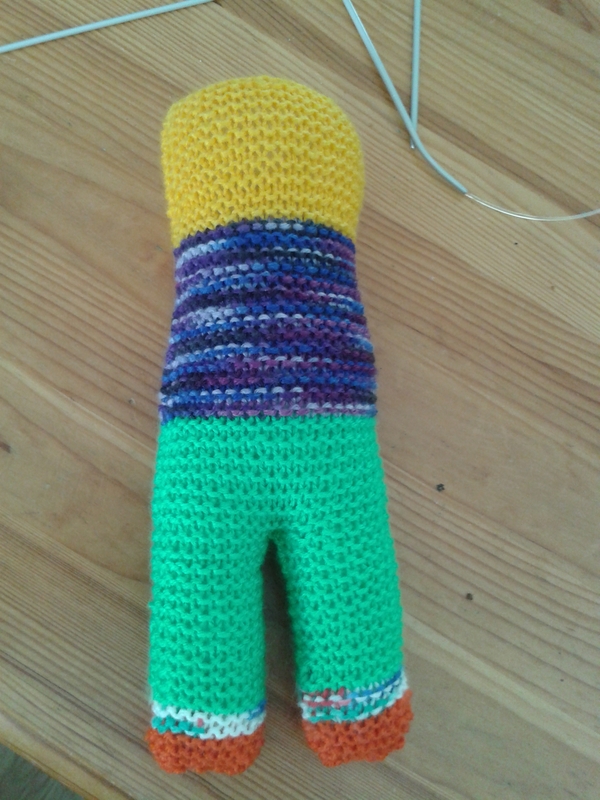 Here you can see the top part stuffed and one of the legs finished. 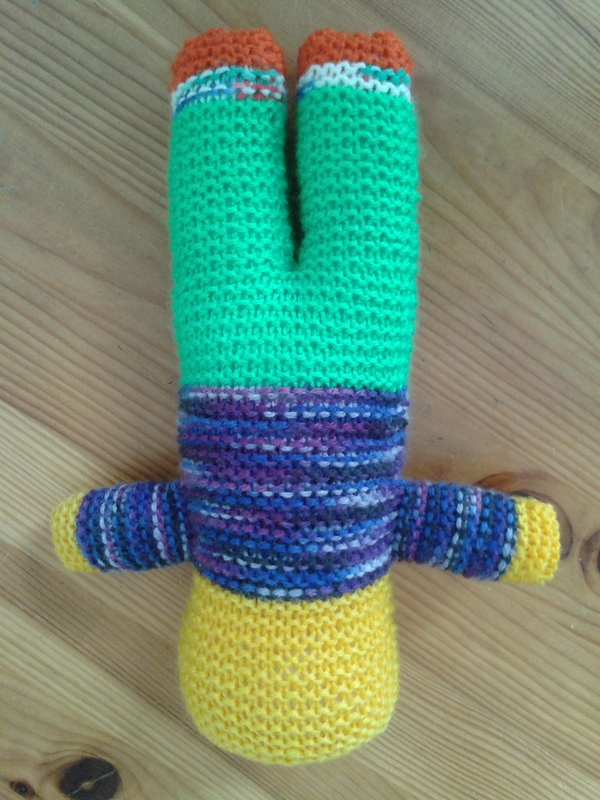 When both legs are finished, I stuff them and sew them shut. 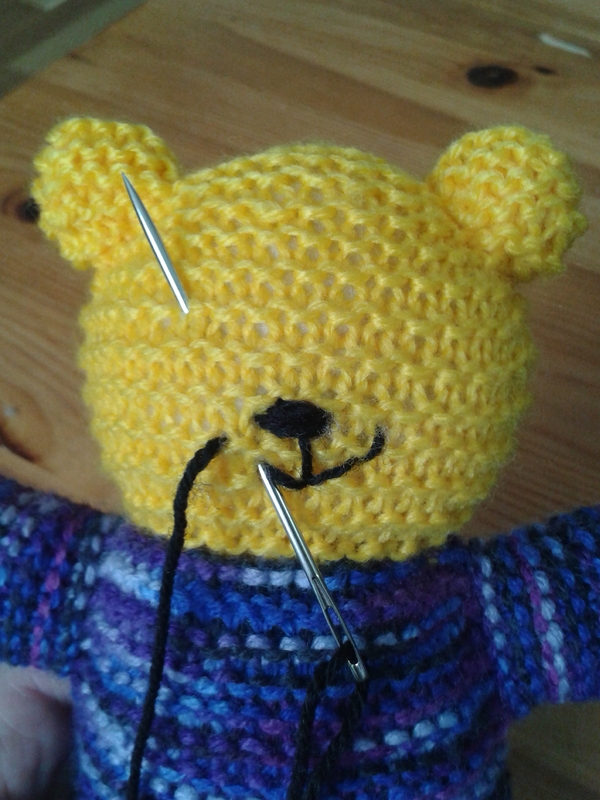 I always mean to start the legs with a provisional cast on to Kitchener stitch them closed but always seem to forget in my haste to cast on a new bear! 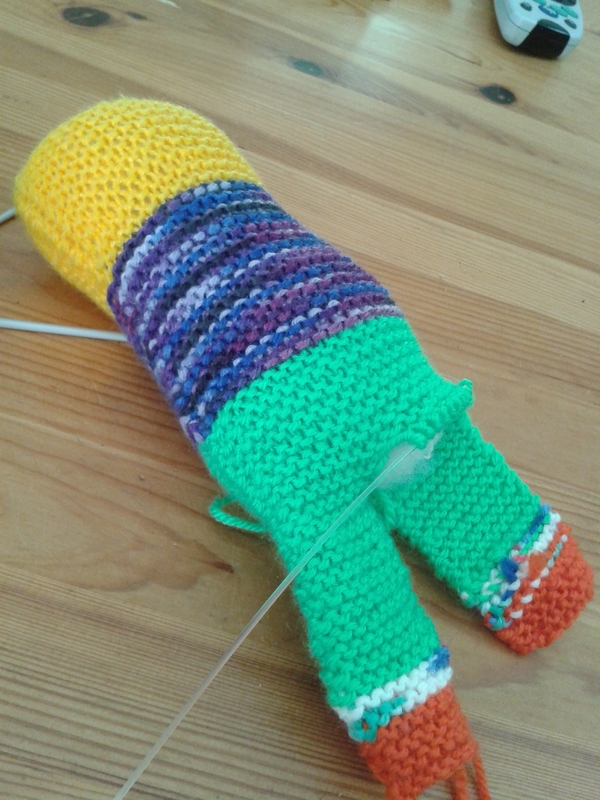 I also use the cast off tail from the first leg to sew the small opening between the legs shut. 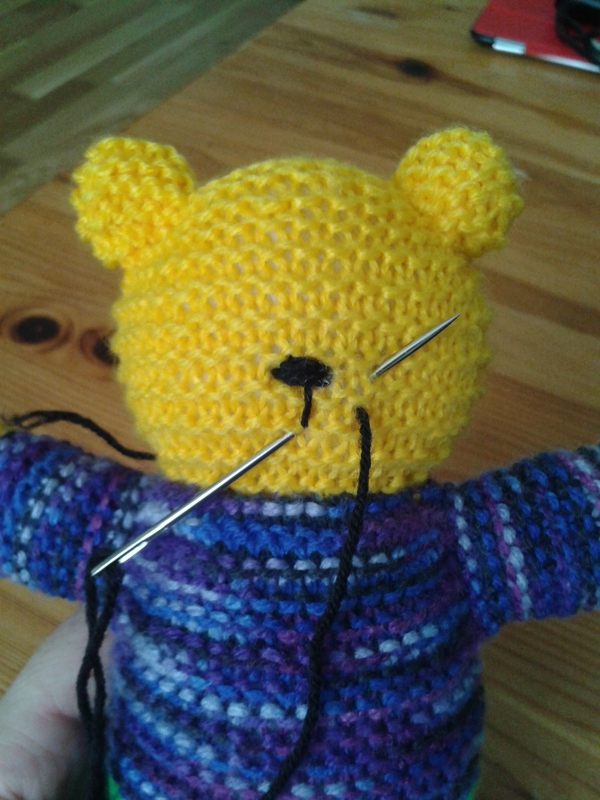 So this is what the bear looks like before I start on the arms. 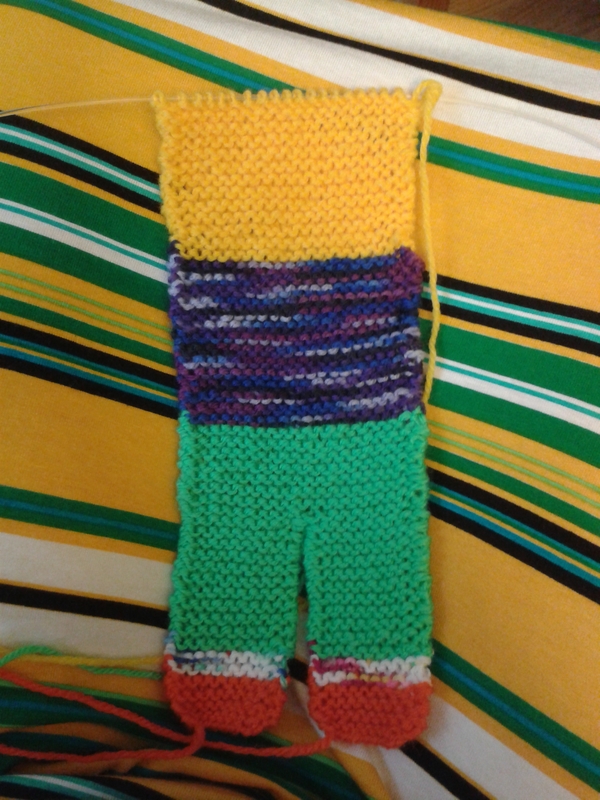 The pattern calls for leaving an opening on the sides to make the arms, this is where it differs, I shut the sides off completely. 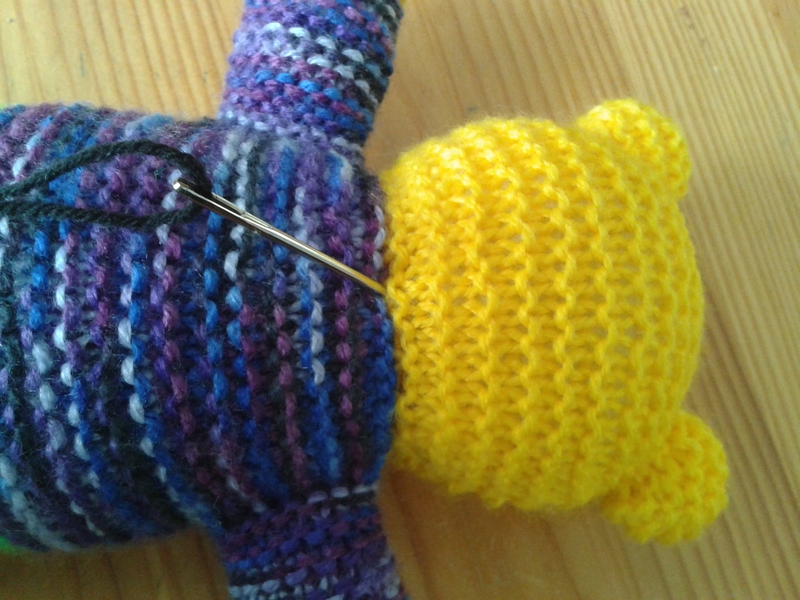 Here is how I pick up stitches directly onto the side of the body to make the arms. 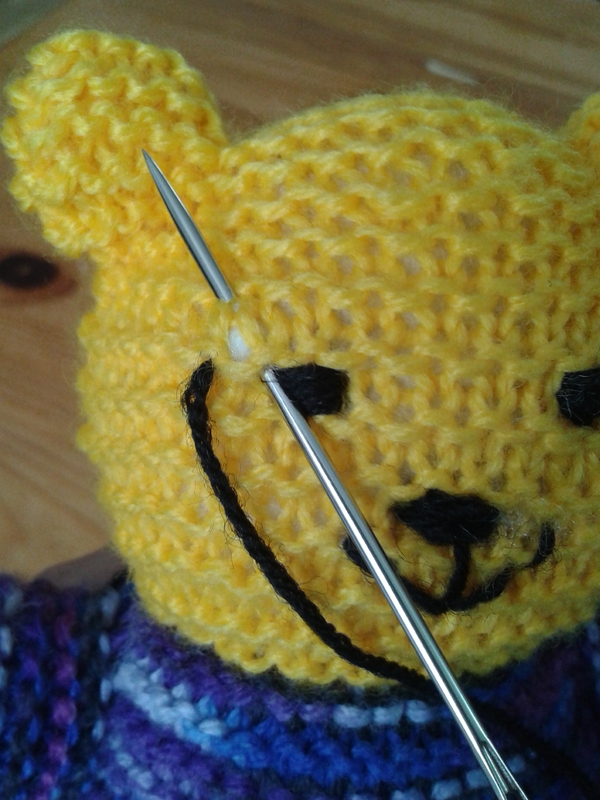 I pick up the purl bumps every second row for the desired amount of stitches, on each side of the body. 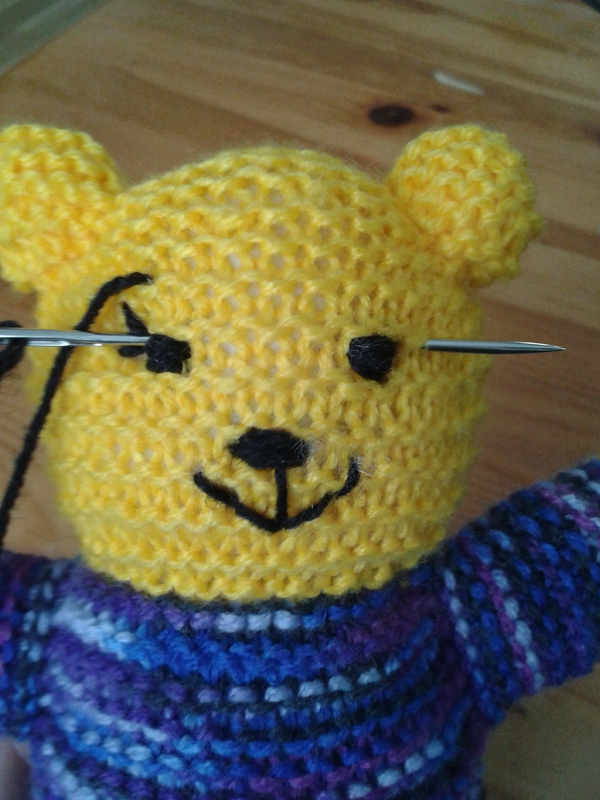 Here I am finished and ready to start knitting in the round. I use the magic loop technique but DPNs can be used just as well. 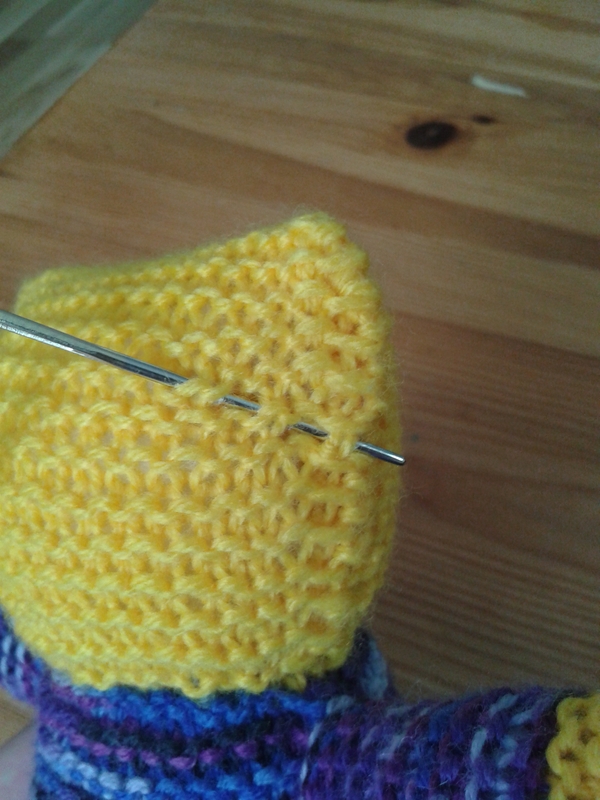 When I have finished knitting the arm, I stuff it and then close it using the Kitchener stitch. The biggest part of the work is now done. 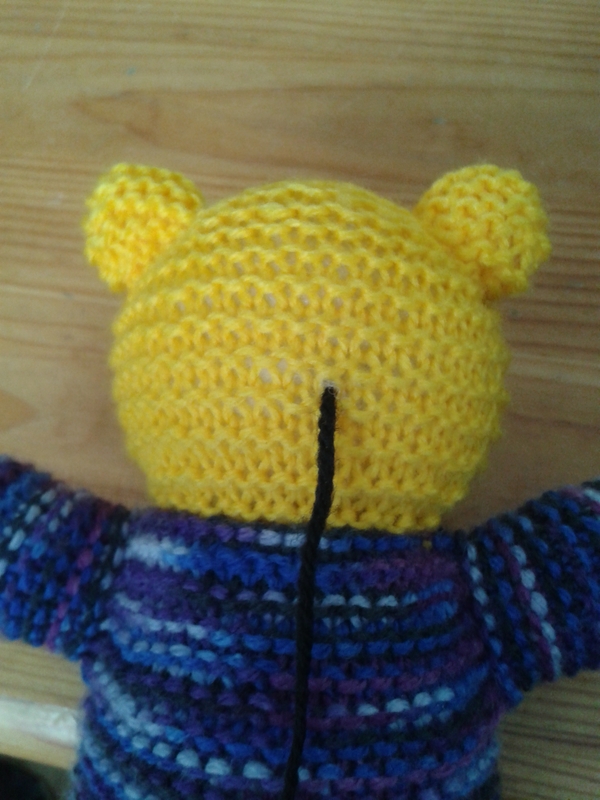 All that is left to do is to shape the head and the ears and to embroider the face. Here is how I do it. 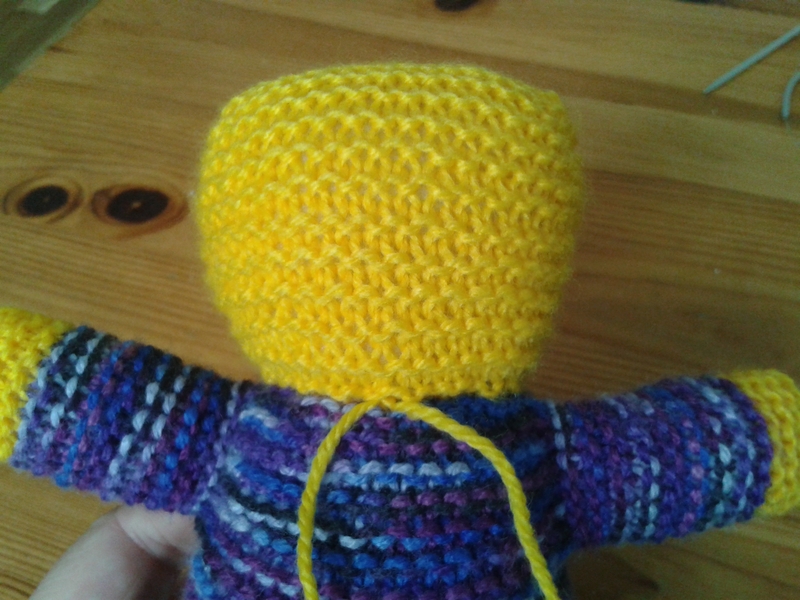 I use the same yarn as I knit the head with. I choose a gap in the middle at the back of the head. 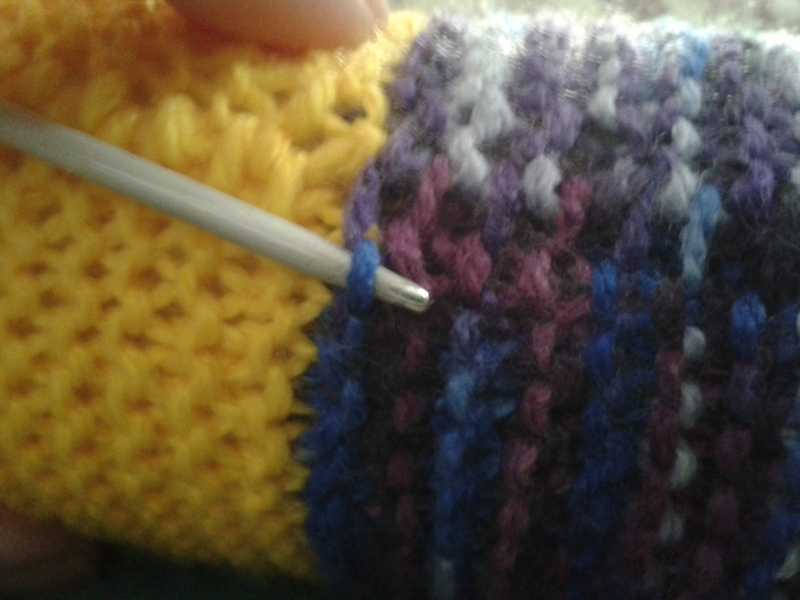 I thread the yarn with a needle as pictured all around. And make sure I come out in the same gap as I started. 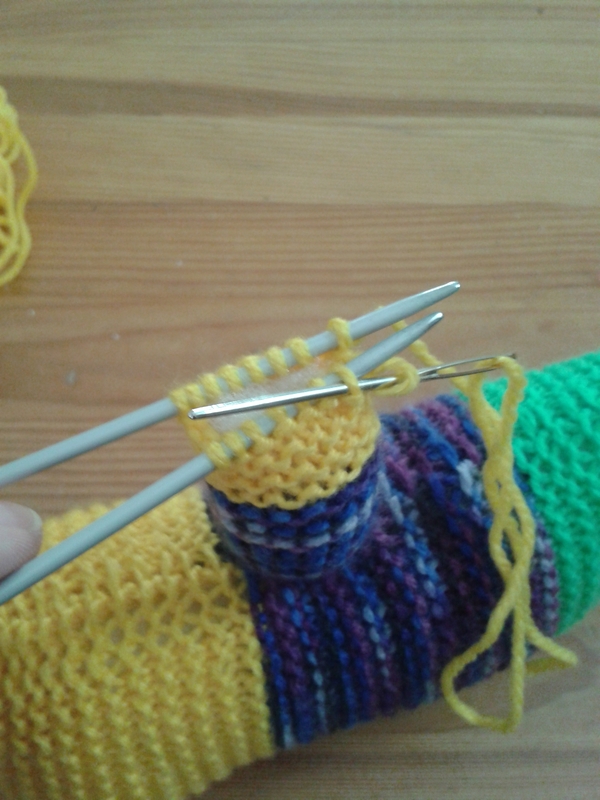 When this is done, I tie a knot with both ends, pull tightly and make a double knot. 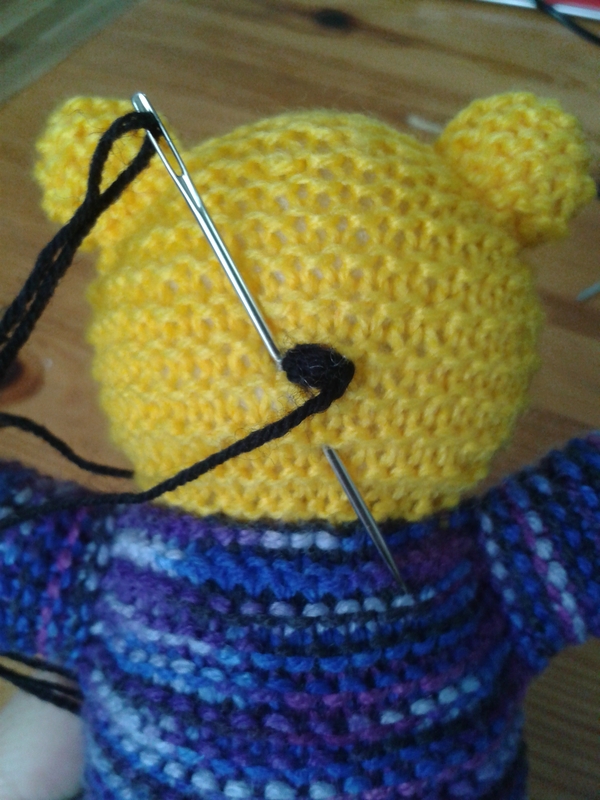 I then hide both ends inside the bear, they will be invisible that way. 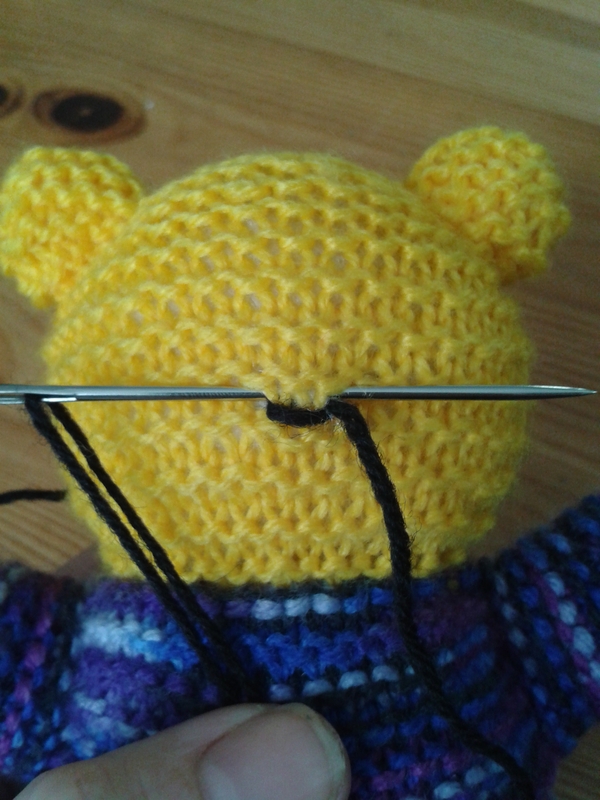 After that, I follow the exact same procedure to shape both ears, also starting at the back of the head. 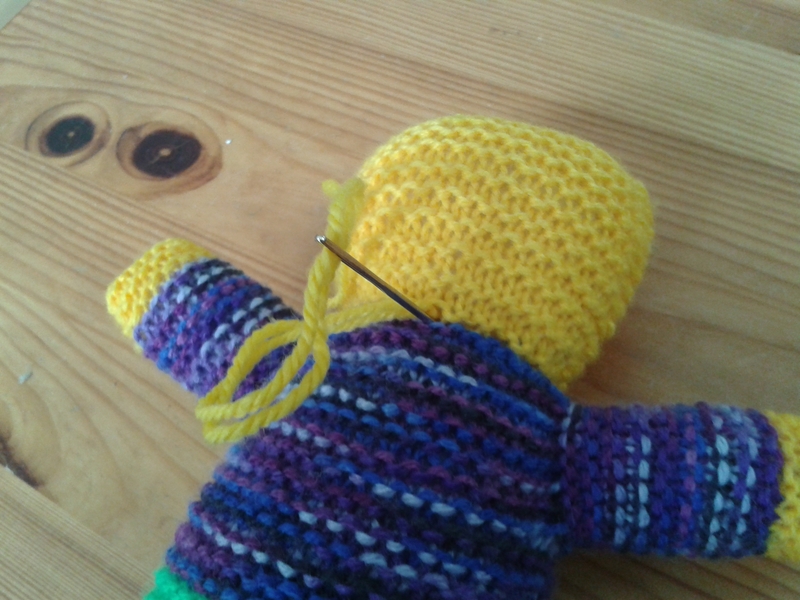 I also thread around and knot as for the head. 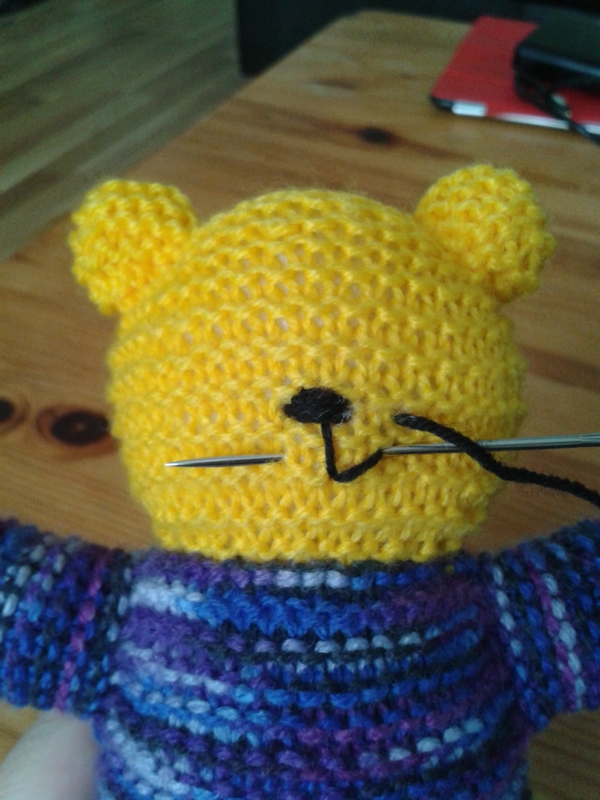 Now, what’s left is my biggest challenge, embroider the face! 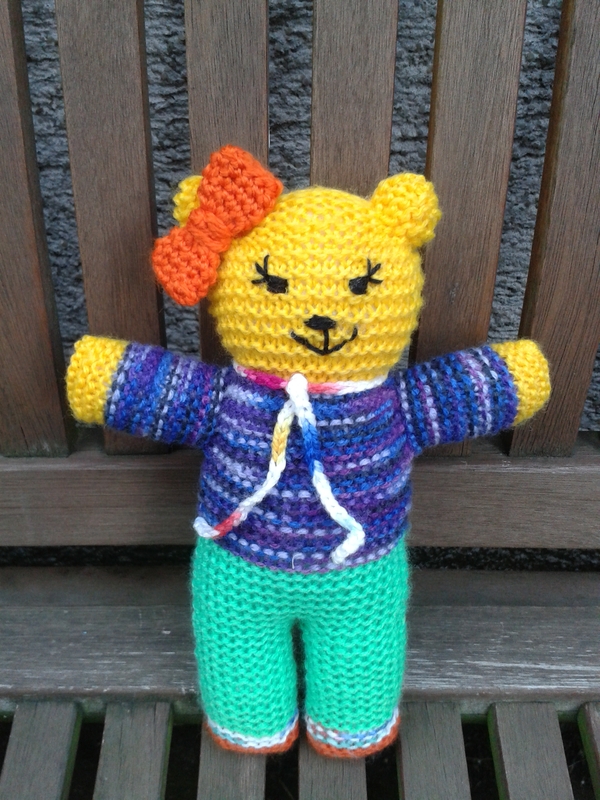 This bear was bear number 73 for me but, even after so many bears, the face is always challenging. Below is the technique I use. 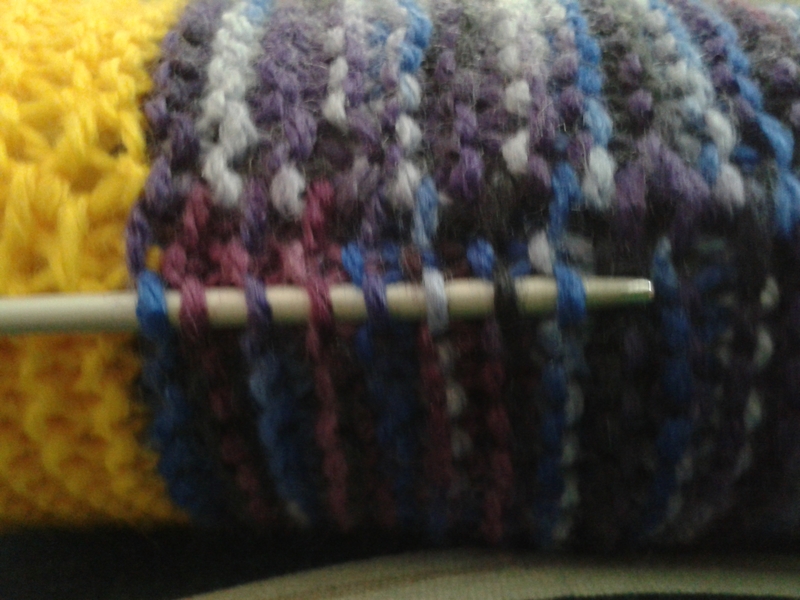 I use a standard yarn for this, no embroidery floss as I find that too thin doesn’t work well. 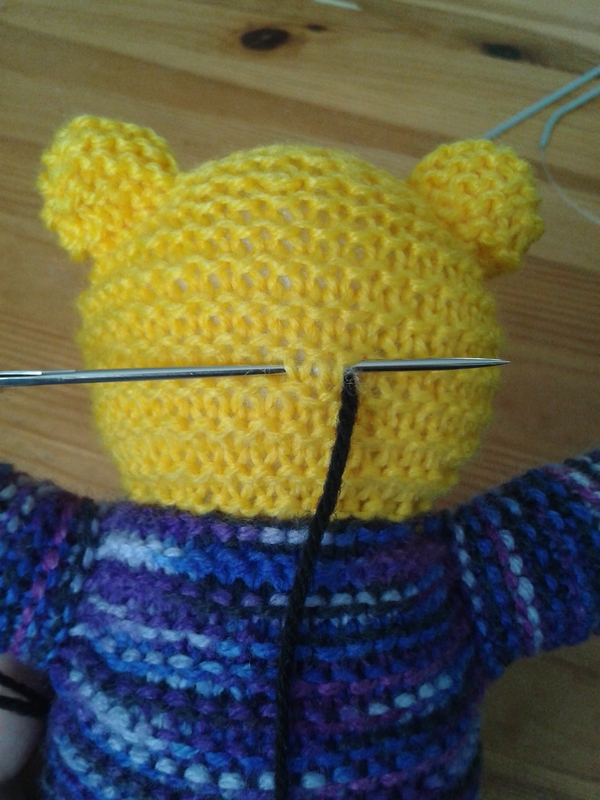 Make sure to take a nice length so you can finish the face. First, I enter at the back of the head. And come out where I want the nose to be. And come out where the first eye will be. I make the eyes the same way as the nose. 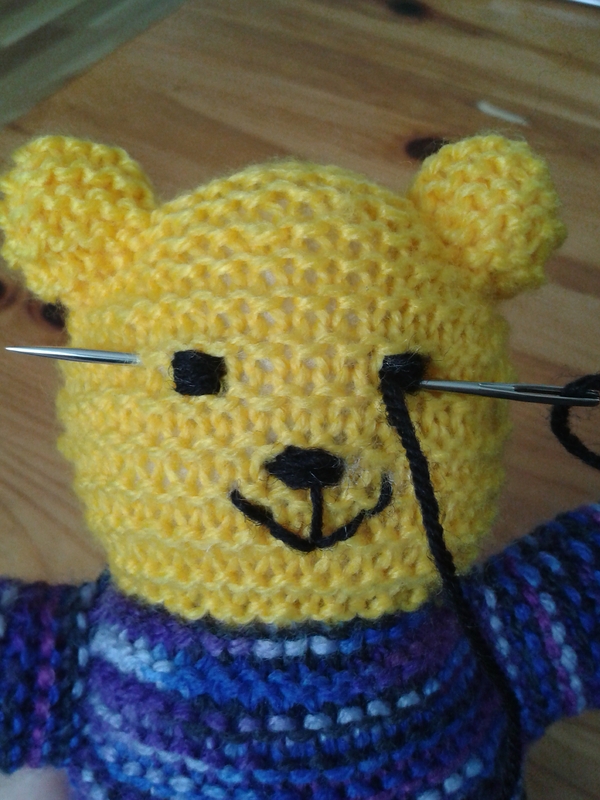 Once I made the eyelashes on the second eye, I was finished with the face. To finish, I come out in the same gap as the one I come in and then tie a knot like I do for the head and hide it inside the same way. 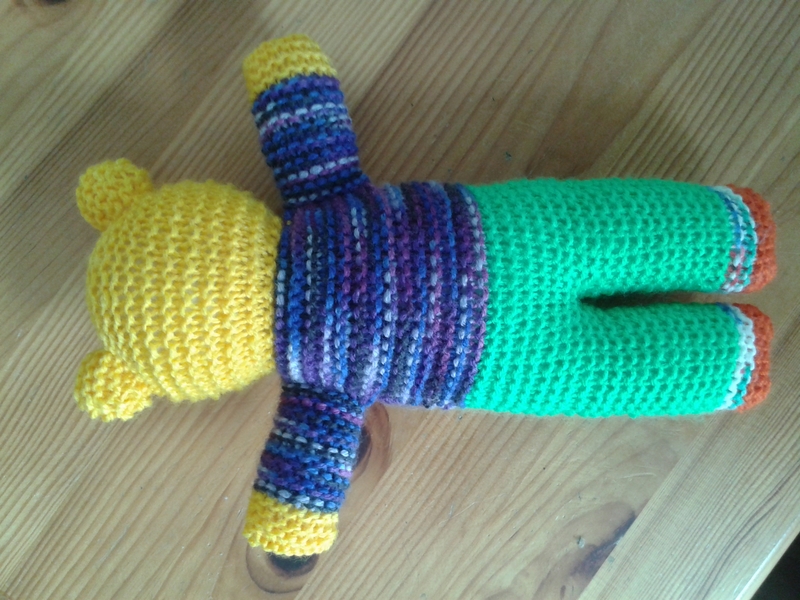 And I should add that she is part of the “Yellow Gang”. 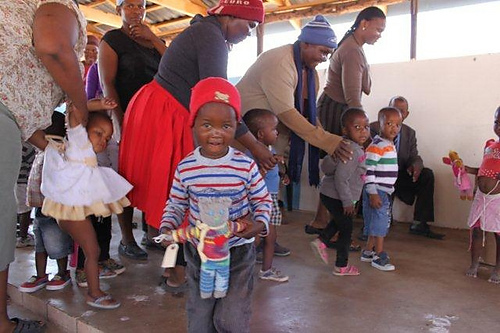 Their mission in life? 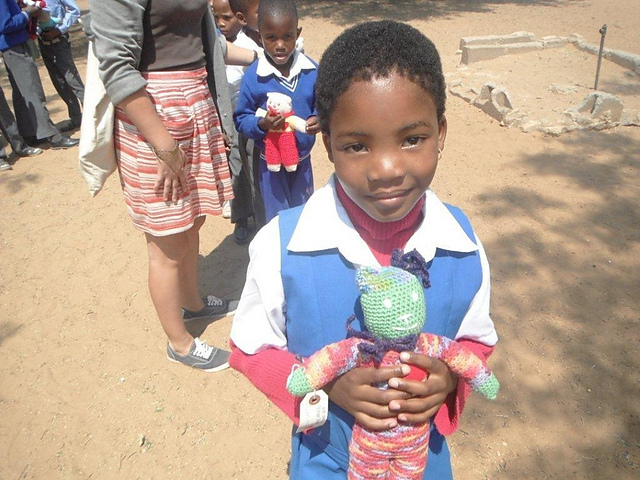 Bring a smile on children faces. I hope this will be useful to someone. 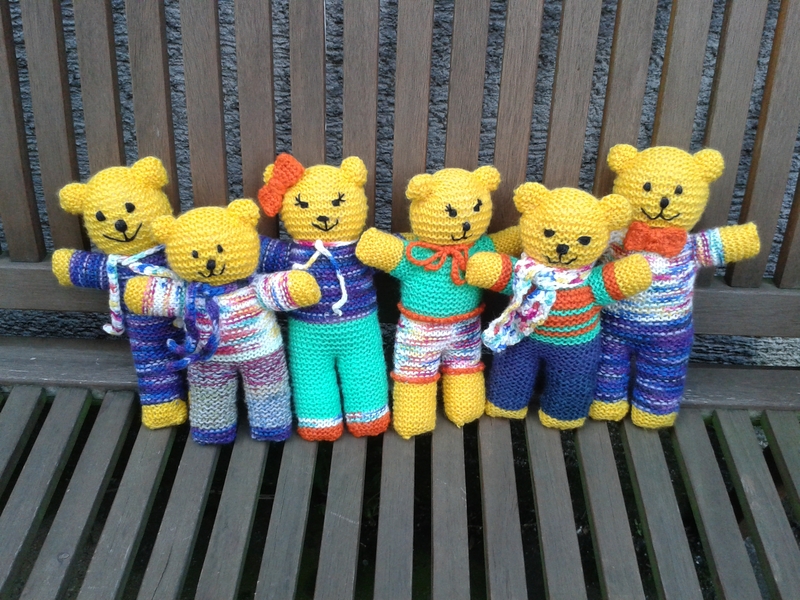 If you’d like to help the Mother Bear Project but cannot knit or crochet, there are several other ways to help, all listed on their website. 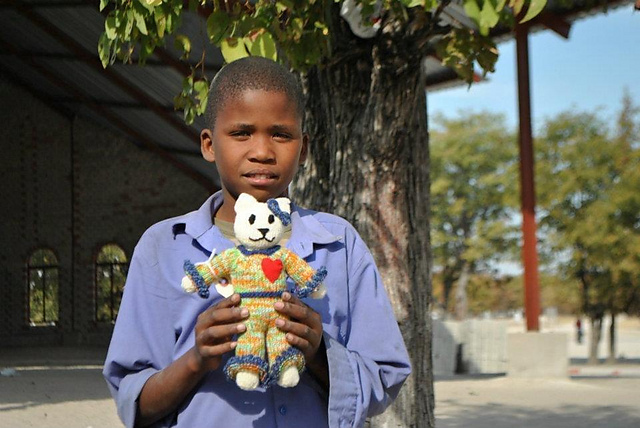 One of them, for instance, is to sponsor a bear, how fun! 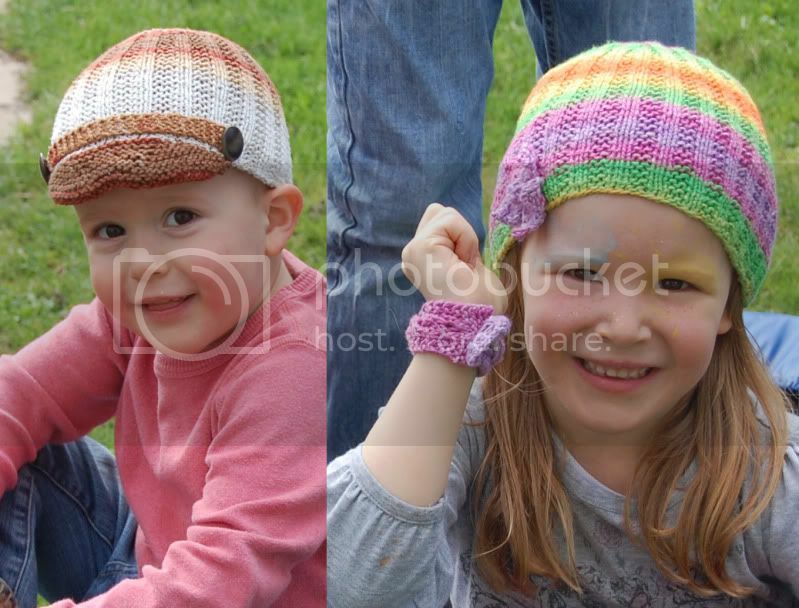 For those of you who have missed the 25% discount from the Indie Designer Giftalong, all is not lost. 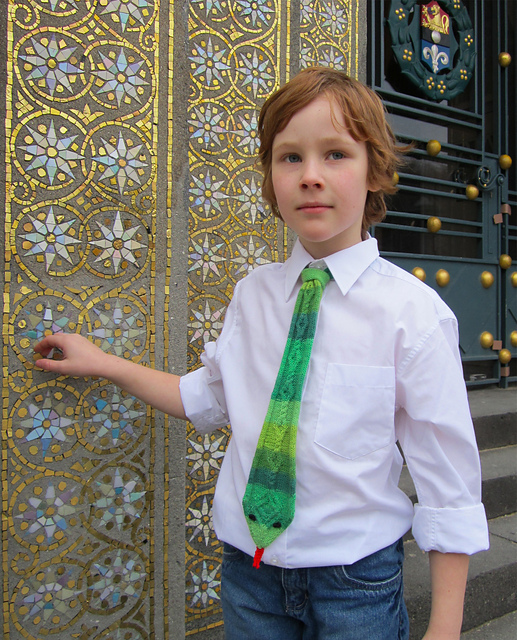 30% off all of my self-published patterns, see them all here. 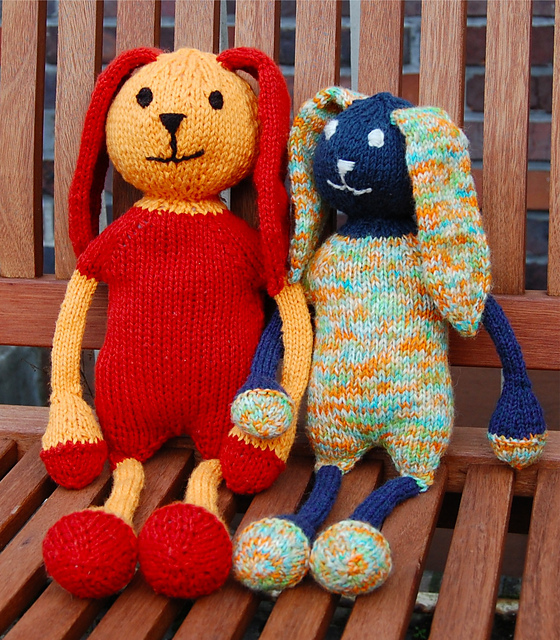 2013 Indie Designer Giftalong – Join us! 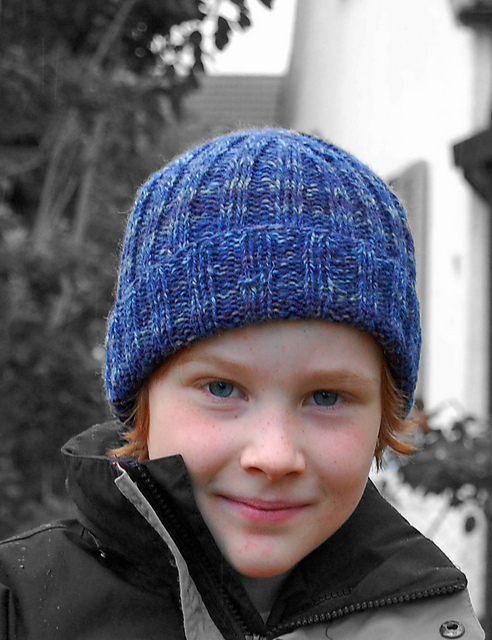 A big bunch of independent designers on Ravelry (including myself) decided to organize a giftalong for the holidays with KALS/CALS, prizes and, probably best of all, a 25% discount on 100s of patterns to prepare for the gift season. 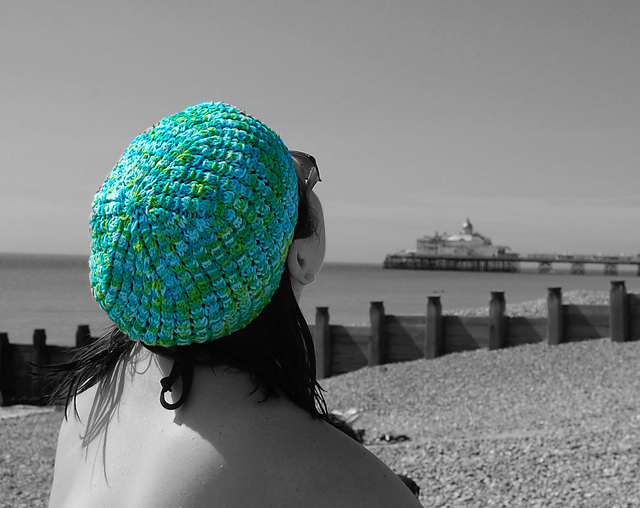 There are over 160 designers taking part, so there is something for everybody. 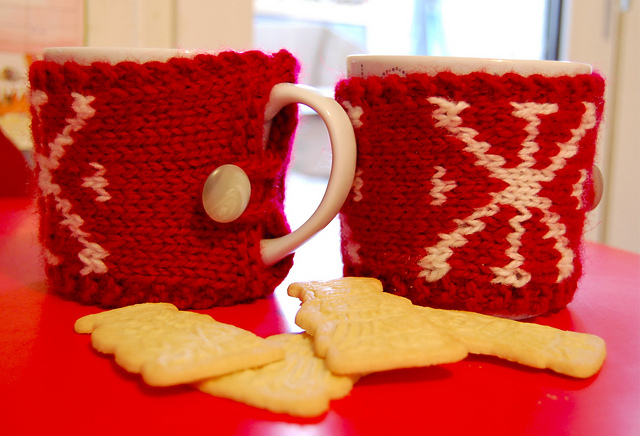 What is the Indie Design Gift-A-Long? 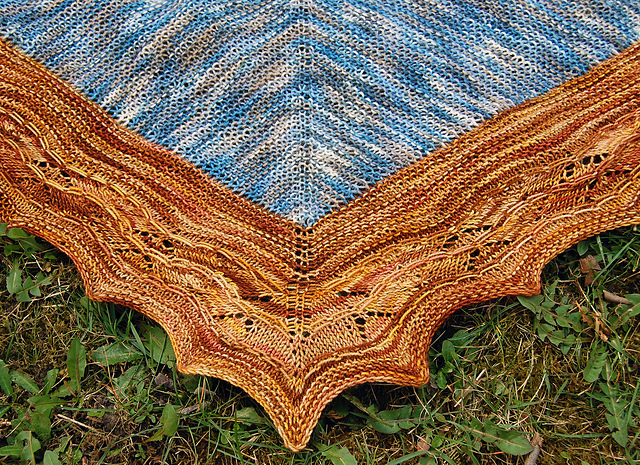 It’s prepping for the holidays as only fiber folks can, with special deals from tons of indie designers! 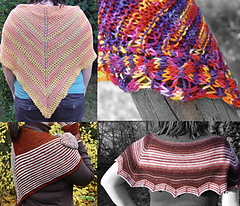 The Indie Design Gift-A-Long is a 2 month long KAL/CAL of holiday gifts made from patterns designed by a rather extensive list of independent designers. 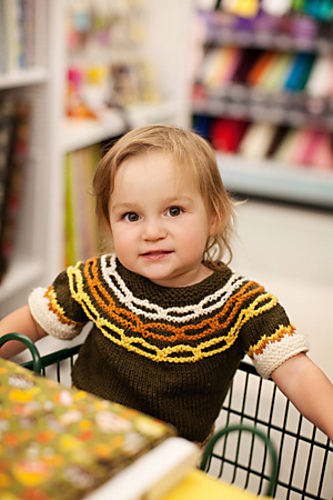 From November 1 – November 15, 2013 tons of indie designers will be discounting some or all of their patterns 25% for this event. There are ten KAL/CALs to participate in, prizes of all sorts given out, some games, and generally a lot of fun! If you think you might be interested, go check the group for more detail. Enjoy! To celebrate my birthday, I’m having a sale! 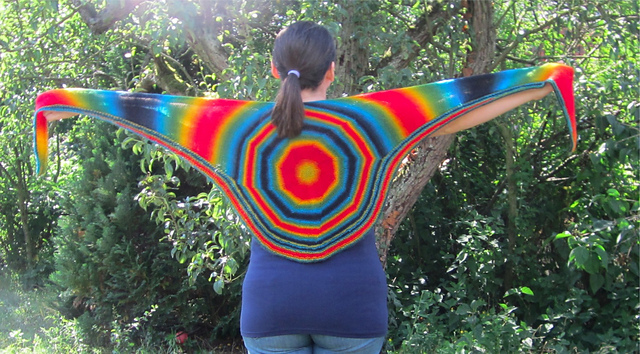 From now until Monday 8th July end of day (GMT time), get a 43% discount on all my pay patterns (includes ebook), using the code “Happy43” in your Ravelry cart. 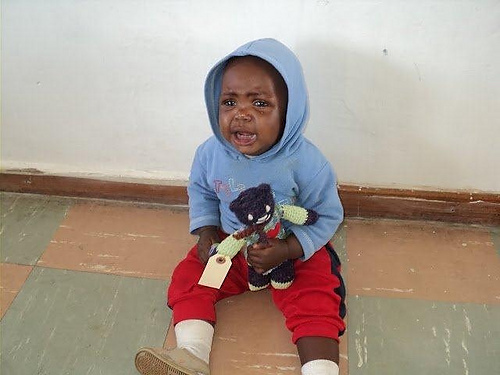 I know I have already shared this wonderful charity with you, but I feel like I can’t do it too much! 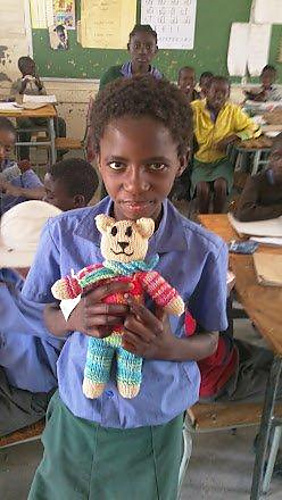 “The Mother Bear Project is dedicated to providing comfort and hope to children affected by HIV/AIDS in emerging nations, by giving them a gift of love in the form of a hand-knit or crocheted bear. 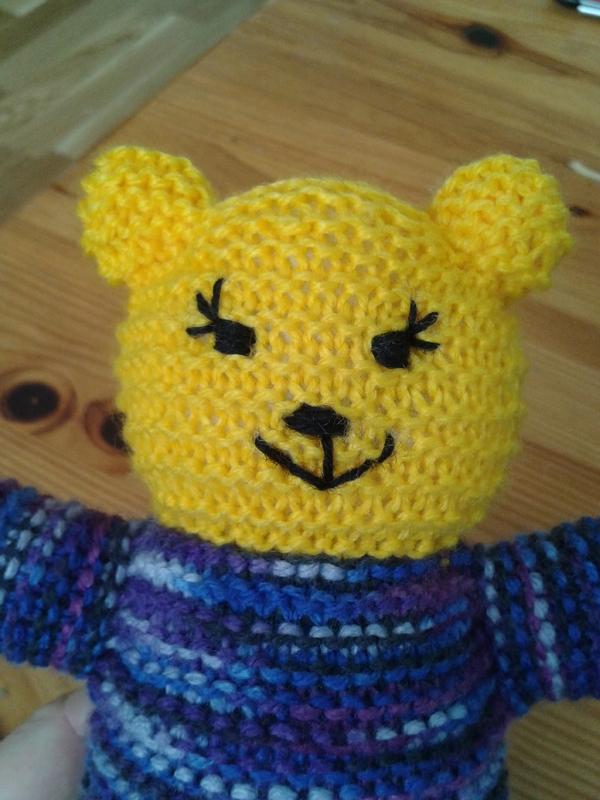 I discovered the Mother Bear Project a year ago and started immediately making bears. Since then, I have made 29 and am just about to start my 30th. 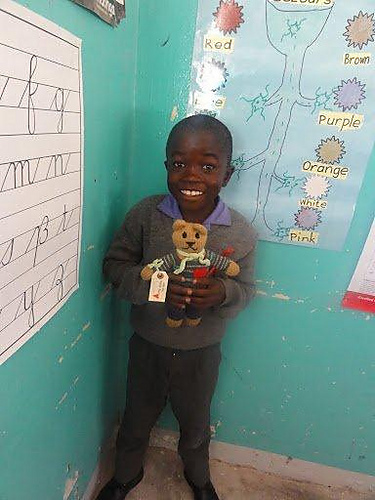 One of the wonderful things that Amy (the founder of the Mother Bear Project) does is to share pictures of the children who receive their bears whenever possible. 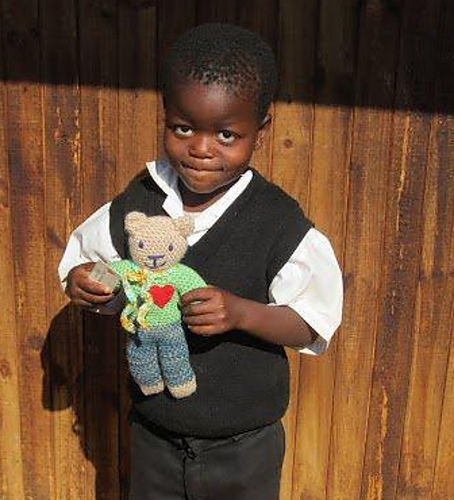 Thanks to her, I have already been able to see 8 of my bears in the hands of a child. There are no words to describe how it feels. 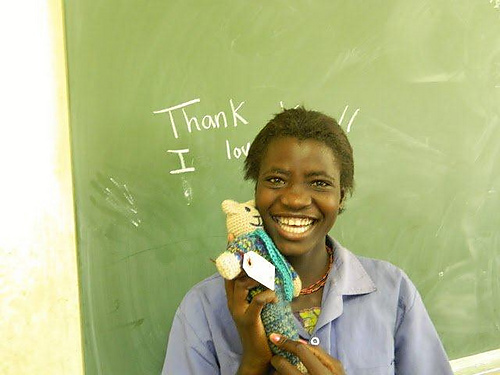 If what the Mother Bear Project does resonates with you, check here the different ways in which you can help. 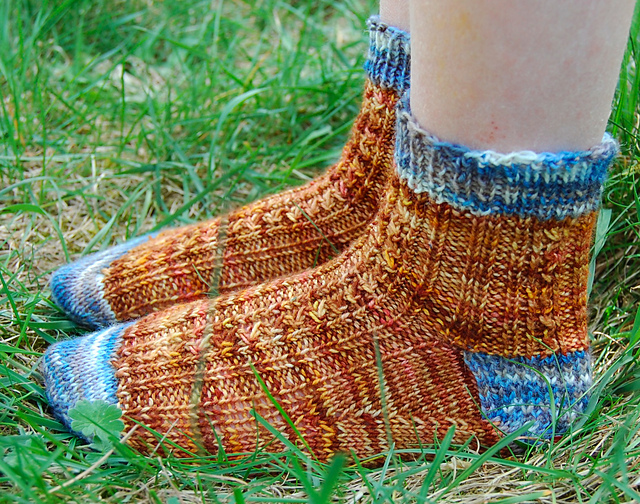 The Lakritz socks were born from my wish to use a self-striping yarn to the max. 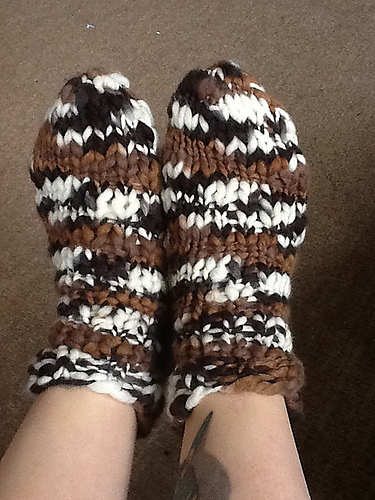 Yes, horizontal stripes throughout are fun, but I wanted to use them in all sorts of directions to spice things up. 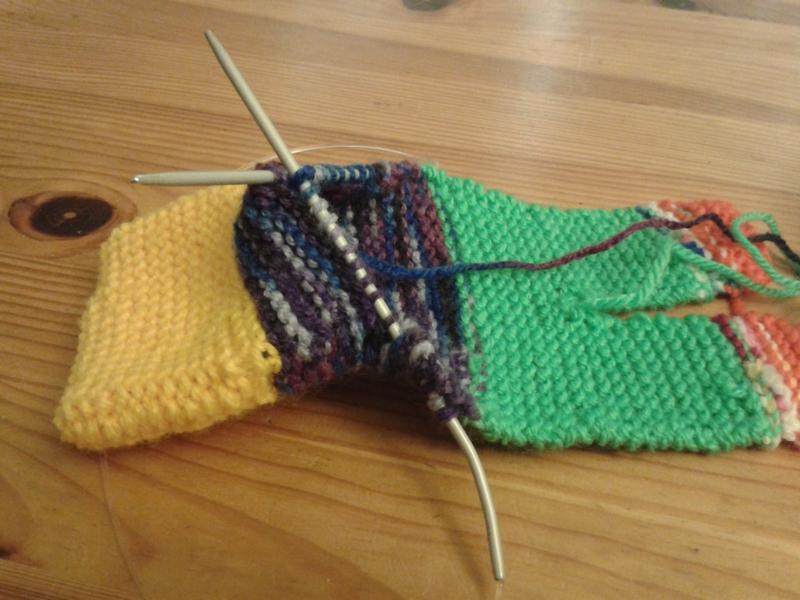 Also, I thought it would be fun to start knitting socks from the sole, for a change. 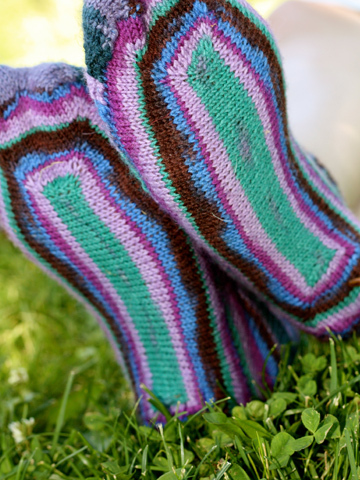 Embrace your inner math geek while calculating the stitch counts and measurements for a perfectly customized, one-of-a-kind sock. 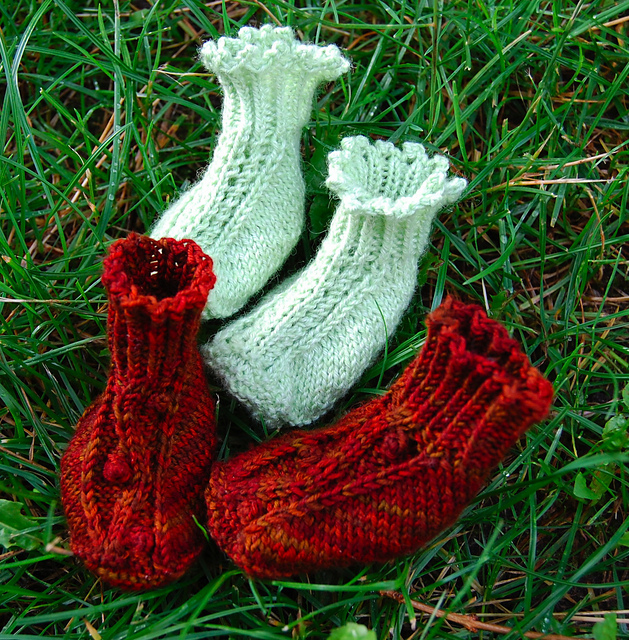 If you are interested in knitting these socks but feel intimidated by the calculations, you can download this Excel file that will do all the work for you! Just fill in your measurements in your unit (cm or inches) and it will calculate all the numbers you need for you. 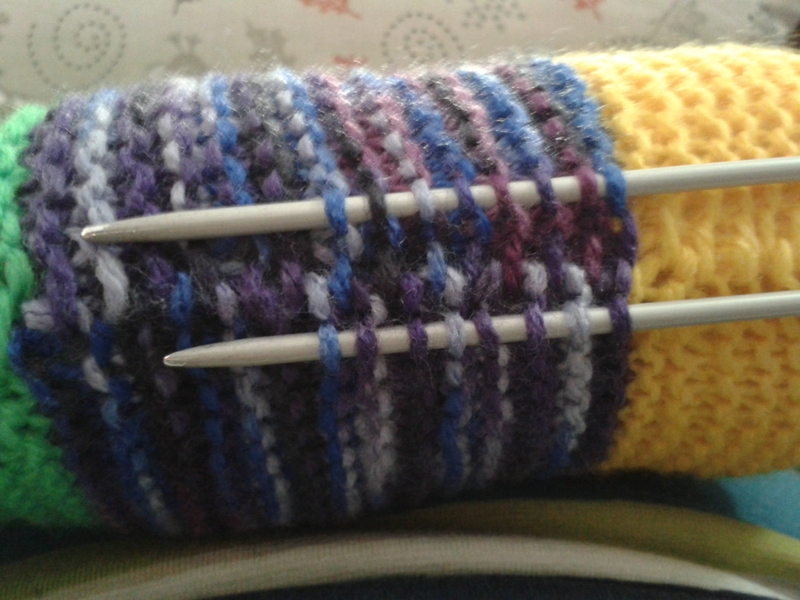 Adjust needle size to obtain correct gauge.